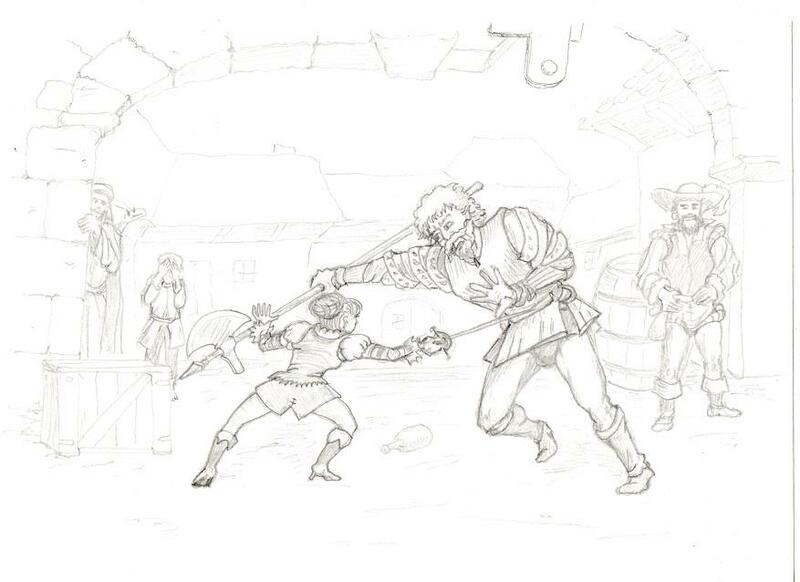 As promised, today I’m talking about Clash of Blades – the eldest of all of Artemis Games projects, though one that is as yet unpublished. If you haven’t read it already, consider taking a look at my first post on the subject. It’s taken a lot of work to get to a state in which I’m happy with it, but aside from the art it’s finally there. With the example of the Emperor’s Hand Kickstarter we now know that we, as Artemis Games, aren’t ready to source sufficient art, advertising and general graphical quality to run a proper Kickstarter for Clash of Blades, at least not one that will allow it to reach its full potential. We work best in text, and our social networks are mainly on the roleplaying side of the tabletop gaming hobbies, so we need far more active marketing skills and push to bring a card game to bear, and while we all firmly believe the game is capable of selling itself, in the end that’s not enough – it’s a game that we feel could be great, rather than good, and we fully intend to ensure it is. To that end, we’ve decided that we’re going to pitch it to publishers, rather than simply crowdfunding it. Depending on what publisher picks it up1)While it’s possible that none will, I believe that to be rather unlikely it may still go through Kickstarter as a way to prove that the demand exists and to promote the game to a wider audience. 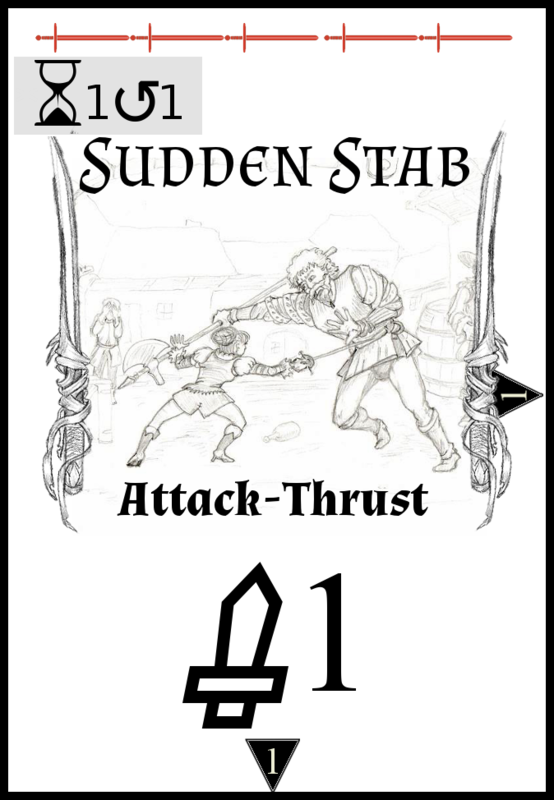 Clash of Blades is a two player expandable card game that simulates the flow of a swordfight while maintaining a constant level of tactical play; using “time” as its only resource. Players choose from a hand of five cards an Attack, Defence or Stunt that they wish to perform, and play it onto a time-track, with the two players moves ticking down the track together. With their deck serving as their life total the players need just two decks and a time-track to play, while the discard-damage mechanic ensures they always have choice in how to act or react. Speaking of conventions, we’re going to be trading at one next weekend – (April 21st to 23rd) the Student Nationals, a wargaming and roleplaying convention hosted in a different UK university each year. I’m sure we’ll see some of you there. Emperor’s Hand is a young game, born this very year. Speaking as someone who’s been working on the same (unreleased) game for over half a decade, that’s a very quick turnaround. So, here’s a run-through of how the game came to be. You may want to take a look at the print and play to fully understand the details described. The simple answer to “what inspired this game?” is this contest on TheGameCrafter (which we didn’t enter due to the unfinished state of the game’s artwork) and its linked video on Trick-Taking mechanics, but without context that doesn’t really give the right idea of what happened. To me, inspiration is about a spark that starts a fire burning inside my mind, illuminating a new idea – It’s a single moment of thought that grows into something more – but it is nothing without fuel. 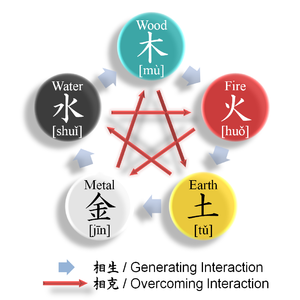 In this case the fuel was something I’d been pondering for a while – the Wu Xing and the way it connects the five elements in a pair of cycles, perfect for tie-breaking or creating a set of mystical relationships. That interest came partly from looking at the number of clones of Magic, including some that cloned it all the way down to the colour pie. But that’s another story. So, the spark landed in potent fuel – what about using the asymmetric relationships to make a trick-taking game where the trump was neither constant nor changing, but was found in the relationship between the suits? The inspiration in place, the game was still somewhat empty – it was a simple rock-paper-scissors-lizard-spock scenario, a single mechanic, along with a strong theme. So I started to delve a little deeper into the theme – yes, every element can be said to trump two of the others (the one that creates it, and the one it destroys) but those two relationships are fundamentally different, and a good game could reflect that fact. That’s where the idea of having positive and negative elemental modifiers on each card came into play. The first thought that followed this was that it could, potentially, be used so that every card had a unique combination of modifiers (from +5/-0 to +0/-5) ensuring that no card was always superior to any other card – but this resulted in the modifiers having an overwhelming impact, so we decided to go with the simplified +3/-0 to +0/-3 that the cards now have – accepting that a few cards would be strictly superior to their neighbours. With that in place we had a playable, and somewhat fun, game simply by going round the table playing cards in turns. But it wasn’t great – it was mediocre. So we started looking for ways to improve it, making it both more tactical and (vitally) more fun. 2) Successful in solving it. In the case of Emperor’s Hand the most immediate problem was Kingmaking – the last person to play in each hand was the most likely to win, but they always knew whether or not they would win, and if they couldn’t (due to not having the right card) they weren’t just throwing away a worthless card – the modifiers from their card could well tip the balance between the other players, deciding who won. Not a fun situation to be in. 2) Have one of the players play face up, and then the rest play face down – so there’s a first player but no last player. We’d used the first option before, and it worked, but it didn’t feel quite right for this game, so I decided to try option 2 and, in order to kill two birds with one stone, I made the player who played face up be the player who won the previous hand – thereby making it less likely to have overwhelming victories, even when there’s a significant skill gap. 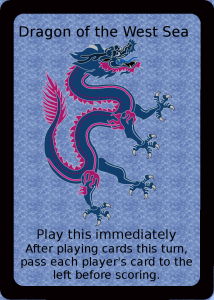 The design on the dragons took a few steps – we had four cards to work with, so using the four cardinal directions (North, South, East and West) seemed obvious, and they correspond neatly to Up, Down, Right and Left. Up and down were trivial – doubling the bonuses and penalties from the elements makes for a significant departure of tactics while accentuating (rather than damaging) the core gameplay. Right and Left also had immediate connections – the player’s to your right and left – but those were less easily applied. We started with the principle that the cards should never cancel out, so the two had to interact with your neighbours in different ways. Passing cards wasn’t a huge leap, though the first draft passed the cards whole hand – which proved to be somewhat meaningless, so we switched to passing a single card. Playing for another player on the other hand was something unusual, but it’s a trick that often works – making players play to lose is often a fun twist. There’s much more to the game – and still more changes to come before the final version – but these are the elements that I’d count as the original design. I’ll talk about the changes since then later. 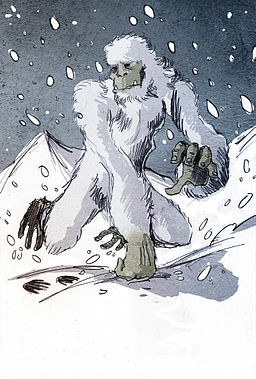 Monstrous Mondays has had its first month, and I hope you enjoyed it, but to avoid burnout April’s going to have a somewhat different focus – each Monday we’ll be talking about a different one of our ongoing or upcoming projects, plans and/or products. 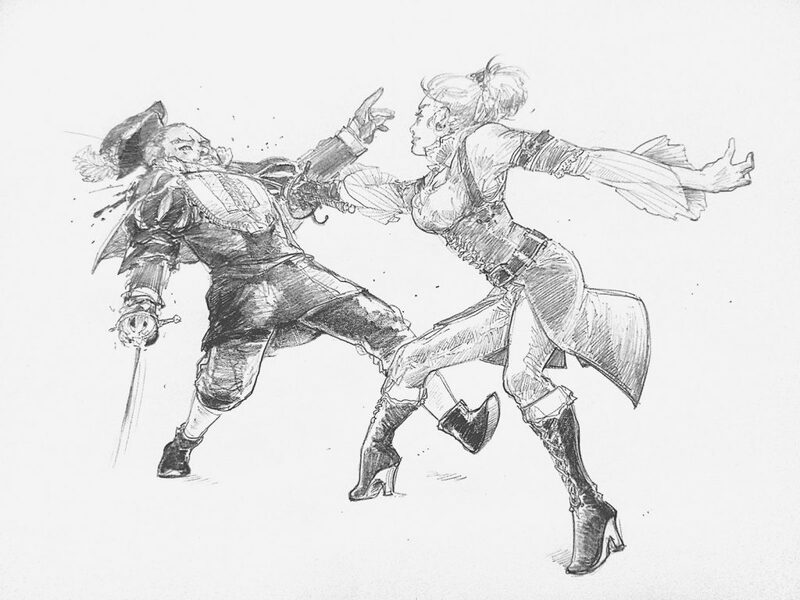 Jigsaw Fantasy is our monthly series of RPG setting elements on Patreon, a stream of releases aimed at middling to experienced GMs lacking either the time or the energy to create every aspect of the world they’re running – or who simply want a little extra inspiration to help them on their way. Each release is between 18 and 22 pages long and details a region, set of characters, or organisation in sufficient detail to provide fodder for at least half a dozen game sessions. There are a lot of RPG setting pieces out there, but Jigsaw Fantasy takes its name from its unique trick – Jigsaw Links. Each Jigsaw Piece includes a set of footnotes explaining how to link it in to other pieces of writing, including established settings, mythology, and our other creations – making it easier for a GM to fit it into their own world by providing context on how things can be clicked together. Next week we’ll be looking at Emperor’s Hand – a card game that has been brought home for redevelopment to expand its player range from 3-6 to 2-8. In fitting with the theme of this week’s post, it’s coming out a few hours late. 1) A shorter Kickstarter means less slowdown in the middle. Our previous kickstarters have had less than 20% of their funding happen in the middle two weeks, with only ~5% or so in the middle 7 days. Missing out on that 5% isn’t great, but there’s no guarantee that we will. In fact, by having only 3 weeks the starting rush and the ending jump may run together – as some kickstarter’s have found in the past – and create more hype. 2) Running a Kickstarter is a lot of work and stress. We already have a lot to do, and marketing etc. for a Kickstarter eat into that time, along with the stress of every day where the backing drops below the prior, and never knowing how much it’ll pick back up in the end. Dropping the middle week cuts that stress significantly – by at least 1/4, but likely closer to 1/3. We’ve been converting some stock into cash this year by trading at conventions, but we have made very little net profit. For various reasons we’re optimistic of much more income next tax year, and having nothing this year and all of it next is suboptimal, so we want to end this tax year. Given that we’re not ready to launch this week, a three week Kickstarter is the longest we can fit in. 4) We have big things planned for later this year. Clash of Blades, the game I’ve been working on for the last 6 years, is finally ready to launch, with no more nits to pick. But I don’t feel ready to send it out to crowdfunding right now. In all our previous kickstarters something has gone wrong, and we’ve delivered slightly behind schedule. While our Patreon has shown that we can stick to a monthly schedule, we want to do something bigger, with more moving parts and some physical fulfilment, to prove (both to our backers and to ourselves) that we are ready for all the trials involved. But we also want to launch Clash by the middle of this year – and that means that we have to have the precursor project done and dusted by that point. In the next week or two we’re going to launch a Kickstarter campaign for our new game. The campaign will fund production costs and artwork. As you can see from the images attached to this post the cards are functional but not spectacular, and we would really like the game to be beautiful. 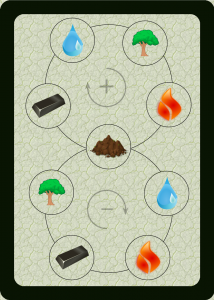 It’s a fun, elegant card game themed around the five Chinese elements: Fire, Metal, Earth, Tree1) Sometimes called Wood, and Water. Each card represents one element, and is numbered from one to ten. 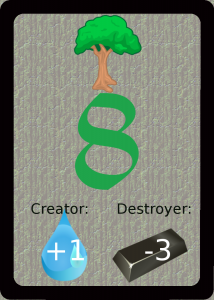 As the elements have a complex interplay of creation and destruction, each card also gains a bonus from each card in play that represents the element that feeds it, and a penalty from those that harm it. Lower numbers gain bigger bonuses and smaller penalties, and vice versa. Each round, The Emperor plays a card face up, then everyone else plays one face down. When all the cards are revealed, whoever has the highest number, after taking into account bonuses and penalties from other cards, wins the round and becomes emperor. Players can try to second guess each other to gain bonuses and avoid penalties. There are a few optional rules, such as the Dragons of the Four Seas, that mix things up a little and increase replayability, but that’s the core of the game. So, from those four names, which is your favourite? Mythic Mondays has just ended, so we’re taking a short break. For this week I’ve decided to put out something simple but useful – an index of the various gods in Mythic Mondays in alphabetical order. 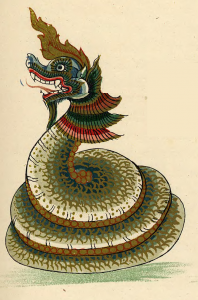 Soon we will be beginning another weekly run – this time of Monstrous Mondays, and just as with Mythic Mondays we’ll be looking at a mix of the well-known and the obscure, from many different cultures. That run may not be uninterrupted – we have plans for a Kickstarter in the midst of it, and may well switch authors – but we’ll eventually have a full alphabet of those two. Let us know what you think so far, and we’ll see you next week with something else a little different.